1. Grounds and Hounds Coffee- You know I love drinking my coffee and I love dogs as well. This coffee company, Grounds and Hounds, combines the two. Twenty perfect of all Grounds and Hounds proceeds will be donated to no kill rescue organizations for dogs to provide safe-havens for them. I love this so much! Anytime I see anything sad about an animal, I am devastated and will think about it all day. Animals are so precious and innocent and I think it is awesome that this coffee company wants to help them. The coffee is fair-trade and organic. It is mostly sold as whole beans but can be ground as well. I really enjoyed this coffee and found that it was full of flavor. The different blends have notes of different flavors such as the Paper and Slippers has hints of brownie and toasted nuts followed by blackberry and blueberry on the finish. The coffee is delicious! Help animals in need by purchasing this coffee. 2. Artisanal Foods- I love to try all different kinds of unique foods. I was recently sent some products that I had not tried before. I got to try the Lambrusco wine vinegar, freeze dried mushrooms and caviaroli. Caviaroli is one of the neatest things. They are little pearls of olive oil made to mimic caviar. The olive oil is covered in a fine layer of gelatin and bursts in your mouth when you eat them. I enjoyed trying these on a tomato and mozzarella salad with basil and a bit of vinegar. The Lanbrusco wine vinegar is a different kind of red wine vinegar. I love vinegar and trying different types and this one was loaded with flavor. 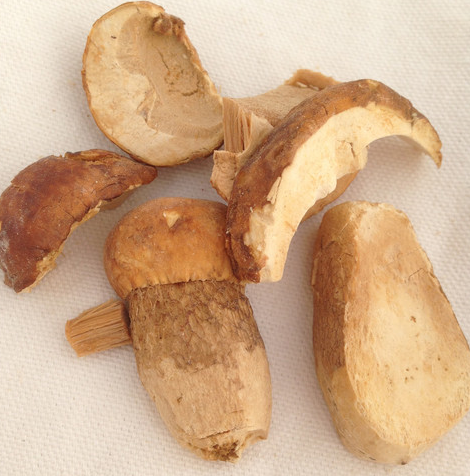 For the freeze dried mushrooms, once hydrated, you can use these like fresh mushrooms. I will be using them in a creamy mushroom soup. 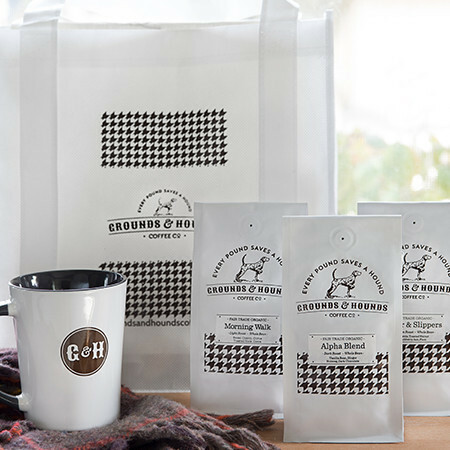 The giveaway will be for two Grounds and Hounds gift packs (a $43 value). I think I would like the Alpha Blend Dark Roast coffee the most (if you meant to ask that in the entry form instead of B'Bites). I'm a dark roast girl--love the bold and dark coffees that wake me up. I want to try the Chocolate Walnut Bites. I'd love to try the Single Origin Colombian! This is quite the gift! Hope to be sipping my selection soon! I would love to try the Peanut Butter Crisp. I would love to try Morning Walk! I am not sure if you have the correct question for this giveaway since the question is about B'Bites and the giveaway is for coffee so I'll tell you about both. I would love to try the Almond Chocolate Cococnut B'Bites. For the coffee I would love to try the Paper & Slippers Medium Roast. I would like the Paper & Slippers Blend.